The Quartet: Orchestrating the Second American Revolution, 1783-1789, by Joseph Ellis, examines the role of George Washington, Alexander Hamilton, John Jay and James Madison in the creation of the Constitution. For those unfamiliar with American history, it seems as if a national sense existed in 1776, when we declared independence from Britain. But as Ellis shows, the picture was far more complex. 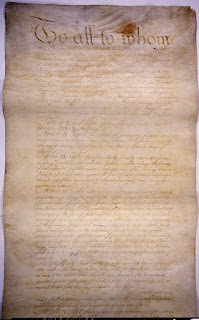 The document for a common government following 1776, the Articles of Confederation, in many ways recapitulated the dysfunction of the Continental Congress. It was more about the rights of the states than some overarching national government. The quartet of the title had born the brunt of this system either in the Continental Army, or by serving in the Confederation Congress and sought to redress its shortcomings. By the end of the Constitutional convention in 1797, the tide had decisively moved away from the moribund confederation, to the structure of government we more or less have today. Ellis is correct in calling this a second American Revolution. The quartet sought to enshrine the revolutionary spirit of 1776 in the Constitution. The Articles threatened to tear the country apart, creating little republics or dictatorships at war with each other. The Constitution sought to balance blocks of power against each other to promote comprise and prevent tyranny. Ellis makes fascinating observations about the outcome of the Constitution. 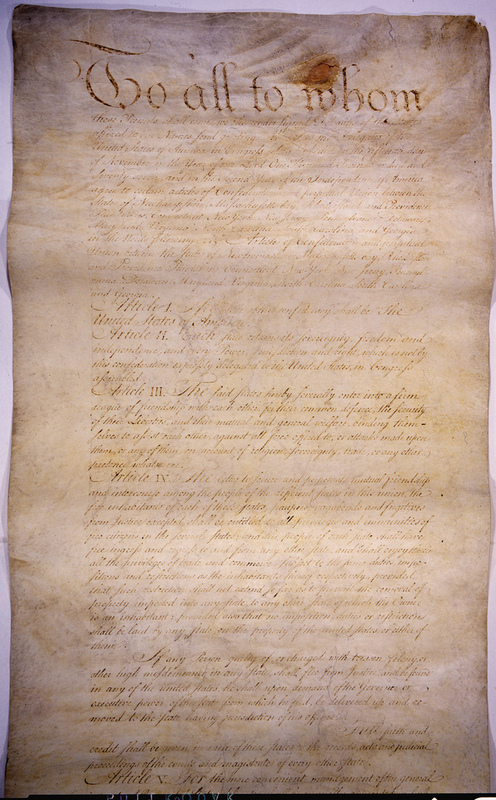 It was felt by all delegates, especially by James Madison and Gouverneur Morris, who more or less framed the document, that it was incomplete in many ways. They believed it would grow and evolve to meet the times. So much for “original intent” conservative jurists who see the constitution as having some basic and unchanging meaning, as if frozen in amber. 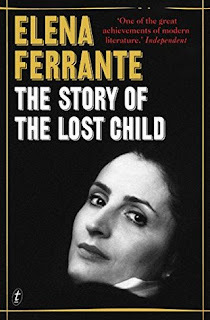 The Story of the Lost Child is Elena Ferrante’s final of her four “Neapolitan” novel series. Ferrante certainly delivers in this final novel, wrapping up the saga of Lenu and Lina, and along with them, their poor neighborhood in Naples, its residents, and the trajectory of modern Italy. I suppose part of the success of this novel, and the series, is the sense of ego-related claustrophobia that Ferrante is able to express. 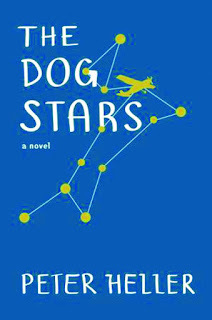 She is so skilled at parsing the lives of her characters, their minute motivations, their shades of thought and feelings, that it is often a relief to put the books down. At times it is almost too intimate and probing. Regarding this novel, I think Ferrante overplays her hand when the dolls are delivered near at the end. It strains credibility. It is obvious what she is trying to do, but in a novel of subtle chords, this note is a bit shrill. Beyond that Ferrante never really misses the mark; she has created a masterful work about the heart of friendship. 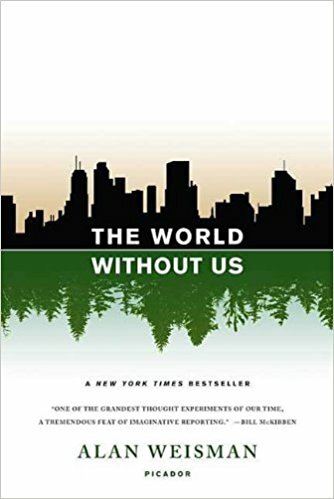 Alan Weisman's The World Without Us is supposed to explore what would or could happen to our world if humans suddenly ceased to exist. 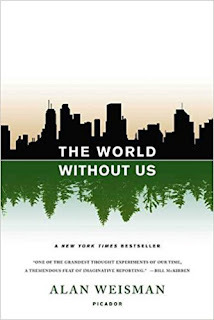 Weisman does do this, but he must of necessity discuss how we have altered/destroyed much of our world, in order to illustrate what would happen if we were to disappear. So, Weisman takes us on a tour from the mass extinction of the passenger pigeon in North American, to the Moa bird in New Zealand. We look at climate change, nuclear waste, and plastic islands in the oceans. It is a depressing catalog. The only bright spot is that, to quote Jurassic Park, nature finds a way. Animals, plants and birds no longer found in Korea thrive in the depopulated DMZ. In the quarantine zone around Chernobyl, wolves have returned, along with moose, deer, badger, and horses. The take away, the world will do fine without us. In fact, it might just thrive. 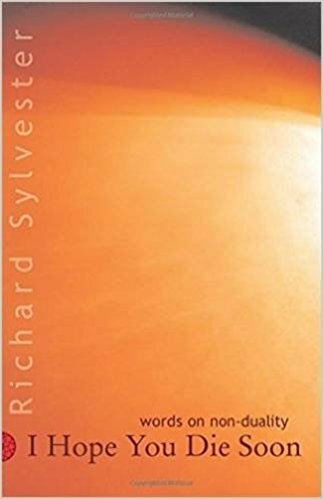 Richard Sylvester, in his book I Hope You Die Soon: Words on Non-Duality, expresses a form on non-duality that is radical to the core, and extremely difficult to express in language. Because non-duality means there is no self, no “I” separate from the world, words, which describe our physical and mental experience, fail us on this topic. …I am standing in a shop in an ordinary country town. Suddenly but with great gentleness the ordinary is displaced by the extraordinary. The person again disappears completely and now it is seen clearly that awareness is everywhere and everything. The localized sense of self is revealed to be just an appearance. There is no location, no here or there. There is only oneness appearing as everything and this is what ‘I’ really am. ‘I’ am the shop, the people, the counter, the walls and the space in which everything appears. When the self disappears, and awareness is seen as everything, then this is seen for what it is, a wonderful hologram sustained by love. What makes Sylvester radical is that he does preach a path or technique that brings us to the awareness of our non-dual state. It just happens. It will be or not be. He fond of such deterministic language. We can do nothing at all. For many, this idea will be difficult to swallow. We want to be spiritual or religious seekers, either attempting to merge with the Greater Whole, of God, or Whatever. We want action. Sylvester sees this as futile. Things will be, or they won’t be. We move from state to state without control. We are already "there." There is nothing else. We have to grow accustomed to his own brand of quietism without a fuss. 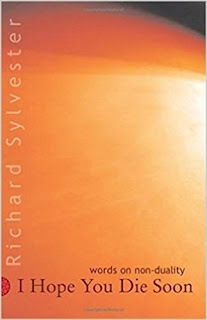 Otherwise, this book will infuriate you. 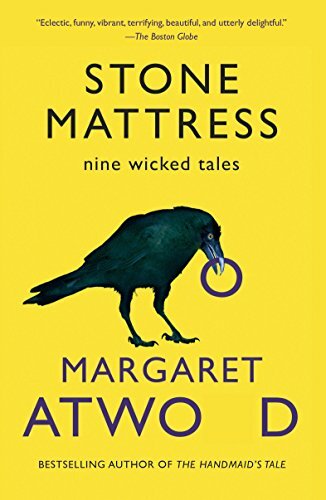 Margaret Atwood’s collection of short stories, Stone Mattress: Nine Wicked Tales, overwhelming focuses on macabre and lightly Gothic tales. But the first three don’t really fall into any wicked or macabre categories. They deal with the circle of woman who live or have lived with an aging, and finally, dead poet. They don't belong in this collection. “Touching the Dusties” is far more interesting, told from the prospective of an elderly woman growing blind in an old age home. The place is best by a group of terrorists in baby masks, set on killing the residents of expensive old age facilities who consume the resources on our starving planet. These are all accomplished stories. 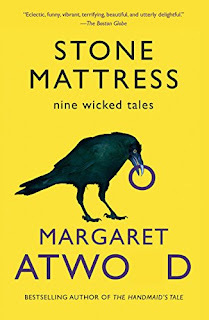 But Atwood is one of the one percent of great authors, so I expect much when I pick up her books (in the acknowledgment section, she thanks her office staff. She has an office staff!) So it is disappointing when some of the tales here have predictable paths. No one tell her no: this story does not work. But stories like “The Dead Hand that Loves You” and “Touching the Dusties” balance those out. So, in the end, maybe the staff is worth the expense. 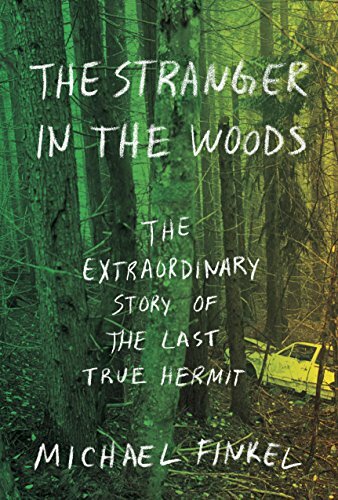 The Stranger in the Woods: The Extraordinary Story of the Last True Hermit by Michael Finkel chronicles the tale of Christopher Knight who spent twenty-seven years living a life of seclusion in the Maine woods. Finkel has written a fine book, but I don’t think he really gets at the heart of the reason why Knight left society. Part of this is not Finkel’s fault. Knight expresses his motivations very enigmatically, and tends to downplay his deeds. There is more to his story, and despite the fact that Knight tells Finkel he wants him to be his Boswell, you won’t find learn Knight's secrets in this book. 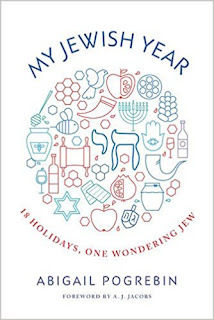 So, despite Finkel's wealth of detail, there is a curious hole in the center of this book. 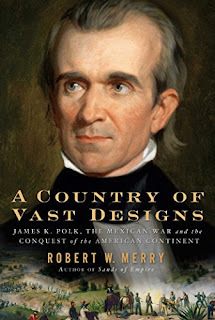 A Country of Vast Designs: James K. Polk, the Mexican War and the Conquest of the American Continent by Robert W. Merry is a fascinating look at the four years of James K. Polk’s presidency (1845-1849). Often overlooked by both historians and non-historians alike, Polk accomplished more in four years than most presidents do in eight. By far his greatest accomplishment was making the United States a continental power. After years of dissatisfying and often contentious joint rule with Great Britain in the Oregon Territory, Polk negotiated the current border between the US and Canada. Although his predecessor, John Taylor, laid the ground work for the annexation of the Republic of Texas into the Union, it was Polk who sealed the deal. This led directly into the Mexican-American War, where the US seized much of the American southwest and California. 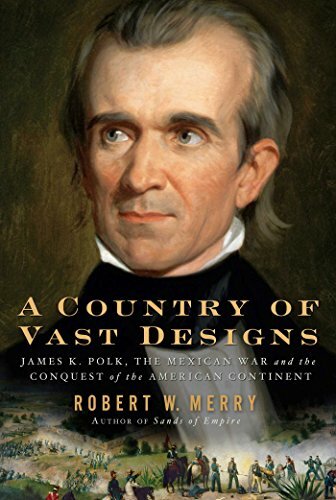 Polk gave America geographical depth, and access to both the Atlantic and Pacific Oceans. He laid the groundwork for some of the issues that would cause the Civil War (should slavery be permitted in the new territories) and America’s rise as a world power in the twentieth century. A detailed and exacting book, A Country of Vast Designs can only further a reader’s understanding of our unique history. 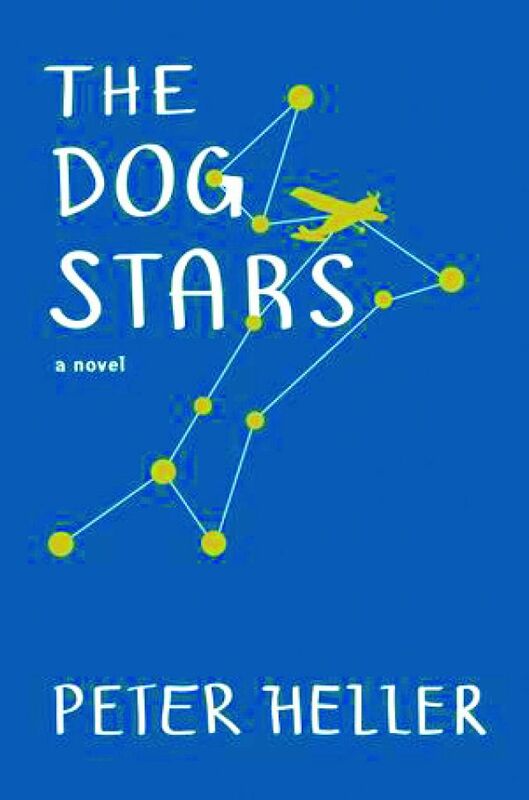 Peter Heller’s post-apocalyptic The Dog Stars has many redeeming elements in a novel otherwise written to be larger than life (and therefore, more cinematic than literary). Yes, Hig cuts off slices of intruders to make jerky for his dog. This is dark, but with what we grow to learn about Hig, it strikes an odd note. Heller wants his hell-scape, but also a bit of film love thrown in. 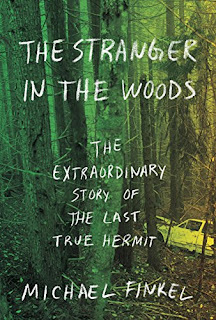 Overall, Heller has written a perfectly acceptable novel that will become a movie. It will have a haunted, uncertain ending, but it will be wholly predictable. 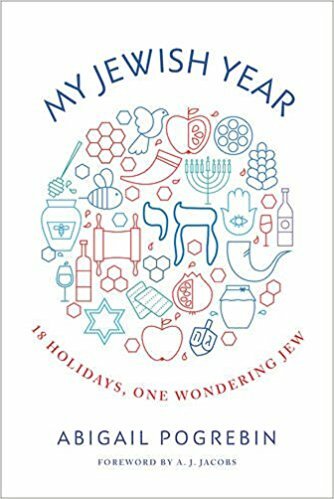 I have reviewed My Jewish Year: 18 Holiday, One Wondering Jew, by Abigail Pogrebin, in the Colorado Review.